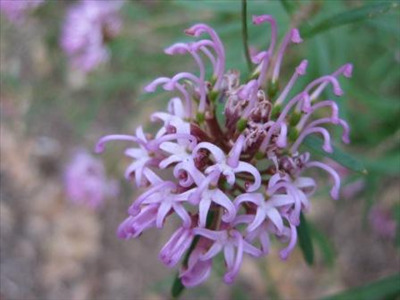 Attractive, long flowering shrub 4-6'. Spider flowers are mauve-pink appearing most of the year. 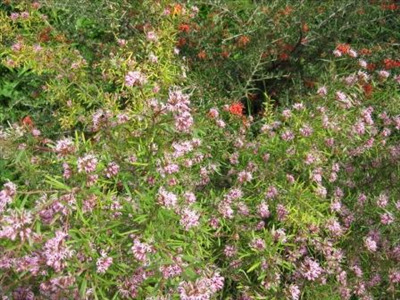 Hardy plant for smaller gardens adapting to most well drained soils and situations. Drought and moderately frost tolerant. Great container plant. Attractive silky, pink new growth. Attracts Hummingbirds. 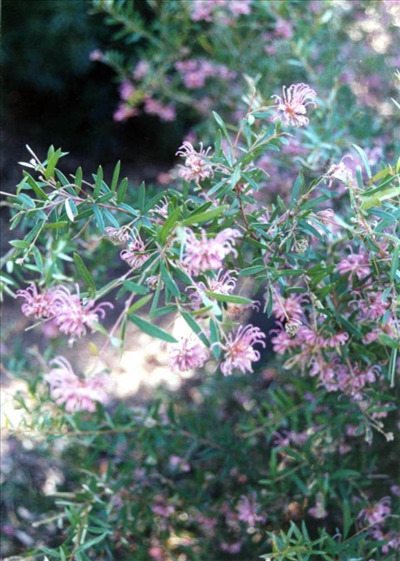 We have a new cultivar Grevillea 'Pink Midget' which is similar to the regular form but lower growing so great for growing on garden edges or for smaller gardens. If ordering on-line we will ship this form in a one gallon container.